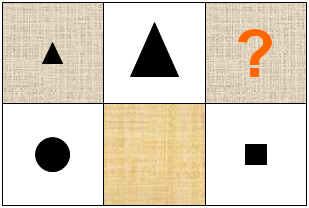 Abstract reasoning tests are often given to candidates as a part of job selection process to measure how well they can solve a problem or underlying logic of a question or argument. Usually, questions in this sort of assessments are in the form of abstract patterns where you will have to identify different symbols and figure out what they have in common. Below, we present you with the most important topics you should make yourself familiar with in order to succeed in these assessments. These tests are constructed from wide range of shapes and symbols arranged in variety of different ways. Generally speaking, abstract patterns can be classified into five major categories i.e. classic, multiple, complex, unusual and conditional. After taking the UKCAT reasoning practice tests you can review quick tips on how to improve upon your test taking strategies. It will present you with few hints on what to do to keep steady pace with your preparation. Widen your understanding further and learn what the most common mistakes at UKCAT reasoning tests are and learn how to avoid them. This section will briefly summarise few things you need to be aware of.